Luxury holiday home in a central location in the beautiful rural North Holland polder landscape near Amsterdam. The residence is an ideal starting point for many attractions and sights within reach. 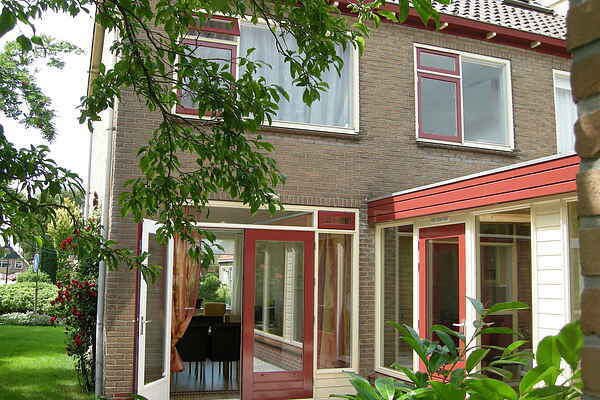 The residence is located in the quiet hamlet of West-Graftdijk in the Alkmaar, Purmurend and Zaandam triangle. The apartment is luxuriously furnished and equipped with all comforts. Via the garden doors you enter the spacious terrace, perfect for spending a lovely evening. And if the evening turns chilly? No problem, theres a conservatory perfect for just such an occasion. Ideal for trips to the Zaanse Schans, Volendam, or the Alkmaar Lake, only 1.5 km away. Naturally, the house is ideal for trips to Amsterdam, only 25 km away. The beach is also nearby, with the beautiful resort of Castricum aan Zee 15 miles away. You can reach the city center of Amsterdam after about 30 km. It is very easy to do by train from station Krommenie Assendelft. And from De Rijp(Wollandje) by bus 301.